Sweet Lorraine's Homemade Fudge is so delicious, creamy and smooth. Made with real butter and cream - right here in the store! Sweet Lorraine's Homemade Fudge is so delicious, creamy and smooth. Made with real butter and cream right here in the store, only the finest and freshest ingredients are used to make a wide variety of flavors. Fudge always makes a great gift for any occasion and for anyone on your gift giving list. We have at least 14 flavors daily as well as seasonal special flavors, including Pumpkin Pie, Key Lime, Caramel Apple and Eggnog. Call us today to place your order and pick your flavors. We ship worldwide in our attractive, custom-imprinted fudge boxes, and we use the US Postal Service and their flat rate boxes whenever possible. 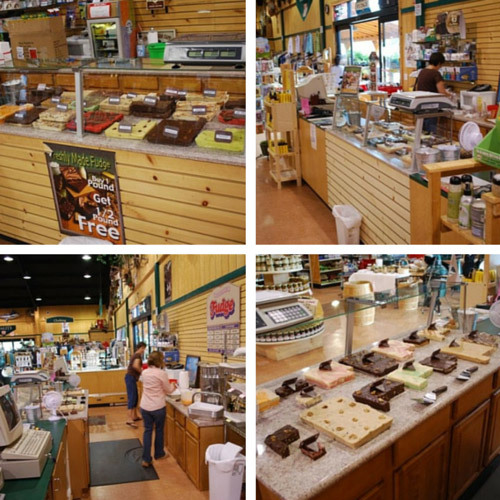 Let us know what you think about Sweet Lorraine's Homemade Fudge. Many of our customers believe it is the best they have ever had! Not all flavors are available at all times. Please give us 3 to 5 flavor choices when making your order. 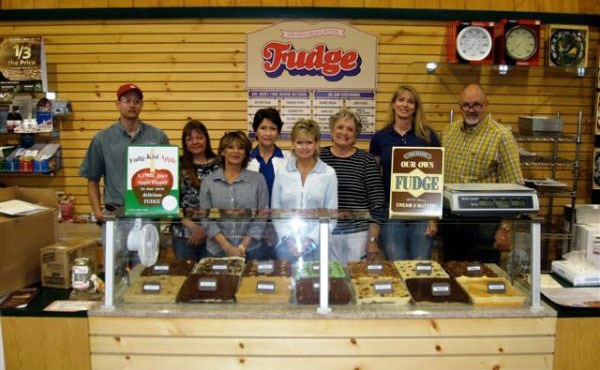 Now you can make a fudge order online and ship anywhere! Simply click on the button below and fill out the required information!